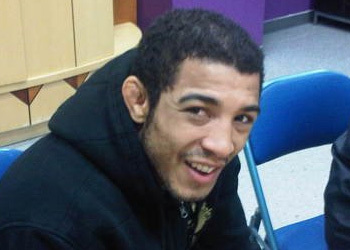 After featherweight king Jose Aldo slapped Manny Gamburyan into unconsciousness at WEC 51, fanboys worldwide couldn’t stop boasting over the sport’s new “Next Coming.” While the Brazilian may have become MMA’s current pound-for-pound champ, the planet’s baddest 145-pounder believes he’s far from waxing his division clean. “The same way that Manny earned his title shot, there’s a lot of guys that are going to come up and earn their title shots,” Aldo said during the post-fight press conference. It doesn’t happen often whenever Aldo’s involved, but for certain periods during the opening round the fans inside the 1STBANK Center in Broomfield, Colorado started booing. It wasn’t as though the 24-year-old was irked they didn’t appreciate his five minute warm-up, he just realized things needed to get heated up much quicker in the next stanza. “I think that’s normal with a fight that’s a little stale,” Aldo admitted. “The public wants to see the action. I think it’s the same thing that happened against [Urijah Faber in my last fight]. They gave him the 1stRound. One person that certainly wasn’t too pleased was Gamburyan. Despite talking a big game, the Armenian was quietly, yet violently, put away in the biggest fight of his life. Pouring additional salt in the challenger’s wounds, and perhaps scaring every other featherweight within eyeshot, is the fact Aldo is good enough to cruise in the early ticks because he knows he can terminate things in the blink of an eye, and in a multitude of ways. Clearly, to the tune of a practically perfect 18-1 record with 14 devastating finishes.